Metal Calculator allows you to calculate the weight and volume of shaped metal. - Various shape such as rectangle, square, sphere, octagon, bars, pipes, steel sheet & plate etc. - Support for both Metric and Imperial measurement. - 40+ popular metal include such as steel, aluminum, gold, titanium, silver and more. - On the fly result calculation. 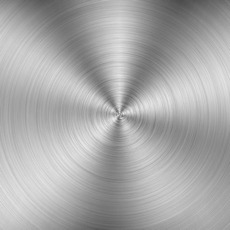 A metal is a material (an element, compound, or alloy) that is typically hard when in solid state, opaque, shiny, and has good electrical and thermal conductivity. Metals are generally malleable that is, they can be hammered or pressed permanently out of shape without breaking or cracking as well as fusible (able to be fused or melted) and ductile (able to be drawn out into a thin wire). Around 90 of the 118 elements in the periodic table are metals; the others are nonmetals or metalloids, though elements near the boundaries of each category have been assigned variably to either (hence the lack of an exact count). Some elements appear in both metallic and non-metallic forms.